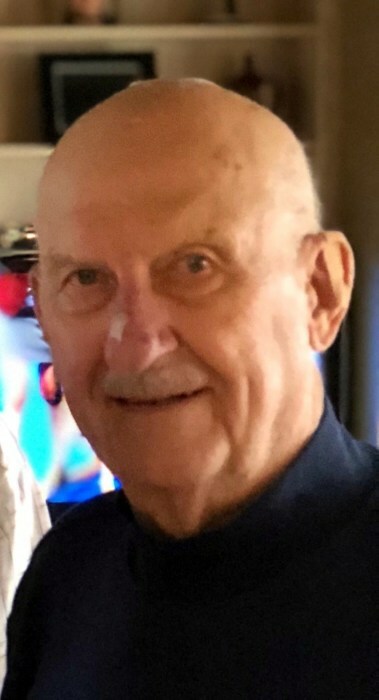 Stanley F. Trenda, of St. Simons Island, GA, formerly of Maryville, TN and Owatonna, MN died August 13, 2018 on his 93rd birthday at Hospice of the Golden Isles in Brunswick, GA.
Stanley was born on August 13, 1925 in Lonsdale, MN, the son of Vincent and Bessie (Machacek) Trenda. He graduated Owatonna High School in 1943. Stan served in the Army from October 17, 1944 to October 29, 1946. He was deployed to the South Pacific during World War II as a member of the 63rd Infantry. Stanley was united in marriage to Eleanor Schuler on June 25, 1947 at Sacred Heart Catholic Church in Owatonna. Stan was employed by Jostens for several years before attending Barber School in St. Paul, MN. He operated Stan’s Barber Shop at several locations on Broadway St in downtown Owatonna for over 30 years. His daughter Suzanne barbered alongside him for some of those years. In retirement, Stan was a volunteer with Hospice and several service organizations, while continuing to enjoy the game of golf. In 2009, he moved to Maryville, TN to be nearer his sons, and then in 2018, relocated to St. Simons Island, GA with son Dale and his wife, Nancy. Stan will be missed by his children Dale (Nancy) Trenda, St. Simons Island, and Stuart (Carolyn) Trenda, Maryville. Survivors also include eight grandchildren and four great-grandchildren, as well as his siblings Francis Trenda, Don (Mary) Trenda, and Donna (Jim) Peterson. He was preceded in death by his wife Eleanor, his son Dennis Trenda, his daughter Suzanne (Trenda) Northrop, his sister Martha Finch, and his brother Ray Trenda. Funeral Mass will be 10:30 AM, Wednesday, October 24, 2018 at Sacred Heart Catholic Church, Owatonna, with military honors being provided by the Steele County Funeral Unit. There will be a one hour visitation prior to the funeral at church. Interment will take place at Sacred Heart Cemetery, Owatonna.